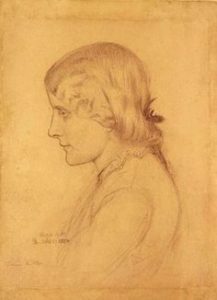 Below is the brief biography of Annie Miller, a British woman who modelled for many paintings of the artists of the Pre Raphaelite Brotherhood in the Victorian Era. Annie Miller was born in the year 1835, to a soldier who was a part of the British cavalry in World War I and the Napolean war. Her mother was a cleaner who died at an early age of 37 years. After this tragedy, they moved in with some relatives and her father would work for a builder in town. 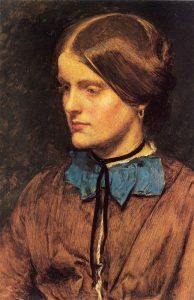 She started working at a Restaurant where she was noticed by William Holman Hunt, a Pre Raphaelite Painter who approached her to model for his paintings. Annie sat for many of Hunt’s paintings out of which the ‘Awakening Conscience’ became the most famous. It lies in the Tate Gallery, a British Art Museum in Westminster City, London. Hunt had her educated while he was away in Palestine. 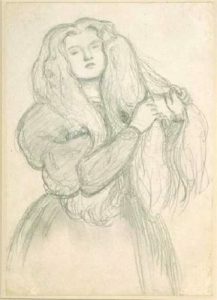 She also modelled for John Everet Millais, who was approved by Hunt for Annie to model. 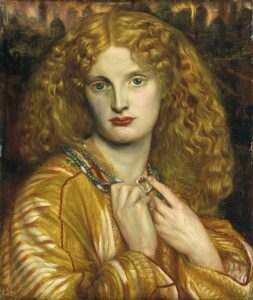 She also modelled for George Boyce and Dante Rossetti which was against Hunt’s will. She appears in ‘Dante’s Dream’ which is at the Walker Art Gallery, Liverpool. Annie was in love with the painter William Hunt who introduced her as a model into the Pre Raphaelite Brotherhood. The two decided to get married after the return of Hunt from Palestine. 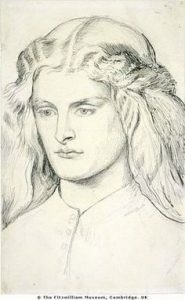 However, when she modelled for Rossetti, Hunt was highly disappointed and started to have differences with Rossetti. 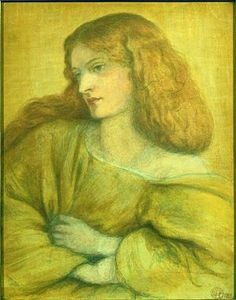 Rossetti’s wife too was uncomfortable with their relationship and it is believed that she threw the paintings of Annie made by Rossetti out of the window. Annie later became involved with the 7th Viscount of Ranelagh, Lieutenant Colonel Thomas Jones. This news was truly heartbreaking to Hunt which is when he broke off the engagement in the year 1859. She eventually married the cousin of Lieutenant Colonel Thomas Jones – Captain Thomas Thomson on 23rd of July in the year 1863. Most people described her as ‘highly attractive, lively and even a little flirtatious and easy going’ in nature. She had two children with Thomas Thomson – Annie Helen and Thomas Jones. They lived in Montrose House in Hampstead. It is believed but not confirmed that they had more children later on. Annie Miller died in the year 1925 when she was 90 years old. She lived with her husband all her life until he died 6 years before she did. Her life is considered a complex mix of a typical lower-class Victorian childhood and a chivalrous adulthood with more than a few relations. Just like in the time she lived, even after her death, many dramatic portrayals of her have been made. For example, the ‘Dante’s Inferno’ in 1967 and ‘The Love School’ in 1975 and some more.